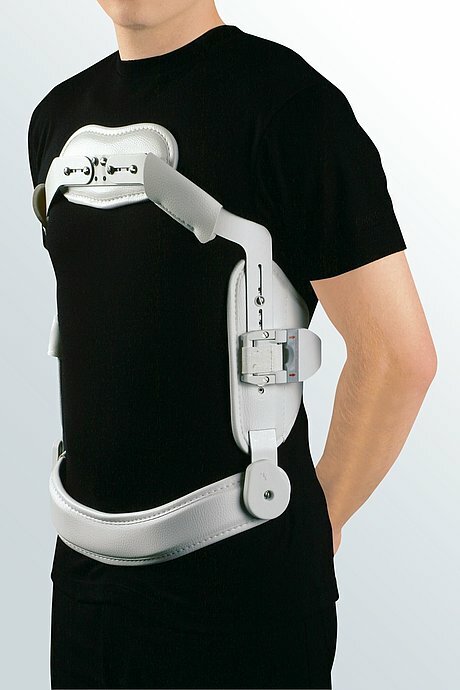 medi 4C flex is a hyperextension brace. 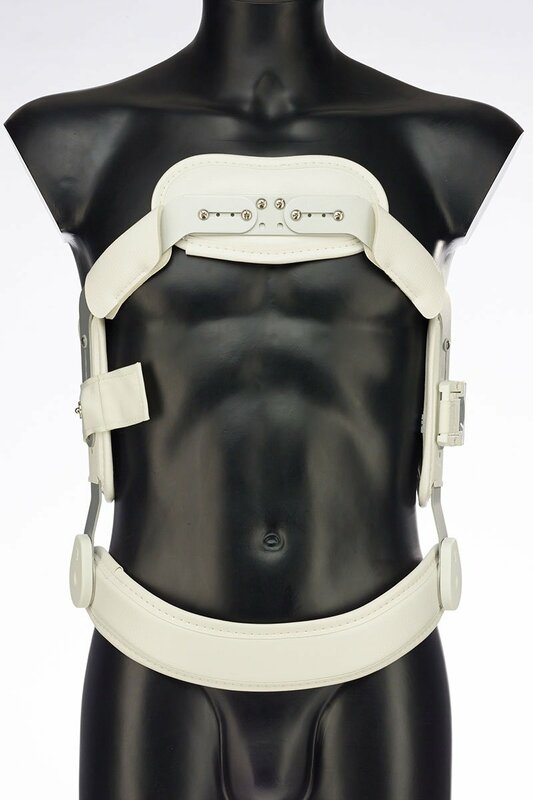 The product is exclusively to be used for the orthotic fitting of the lumbar spine / thoracic spine and only on unbroken skin. 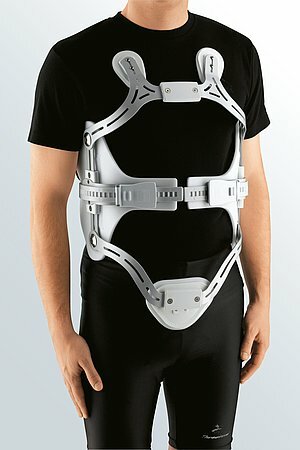 First loosen the screws on the chassis and adjust the orthosis to the width of the patient's body. Please always check that the functioning of the hinged fastener is not restricted. Now loosen the two screws on the side of the chassis and the screws on the fastener. 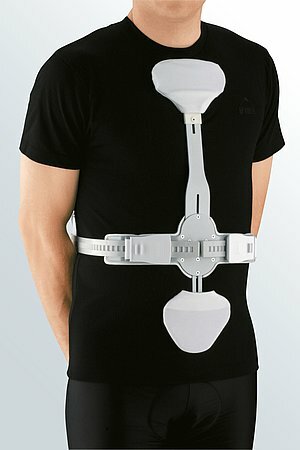 Adjust the orthosis to suit the patient’s length – distance from the symphysis pubis to the subclavicular contact area. Then retighten all the screws. Using the hook and loop fastener and the reversing loop adjust the length of the strap so that the pad comes to lie in the middle of the back. Remember that a few centimetres of the strap will have to be pulled through the fastener. Slide the grey bar sideways to open the fastener. To close the orthosis flip the cover over until it audibly clicks into place. cloth, the back pad with a brush. How to use our medi 4C flex hyperextension braces. Date of issue: until February 2017. How to use our medi 4C flex hyperextension braces. Date of issue: until August 2018. How to use our medi 4C flex hyperextension braces. Date of issue: from August 2018.